Harrigan Lettings are specialists in residential and commercial lettings and property management in the Cannock Chase area offering excellent customer service and professional advice. Harrigan Lettings are an independent lettings specialist based in Hednesford, Cannock serving the local area including Rugeley, Cannock, Hednesford, Lichfield, Burntwood, Heath Hayes and throughout the surrounding areas. Harrigan Lettings was created by Suzanne Harrigan to offer a professional letting service that delivers first class service for both landlords and tenants alike. The team at Harrigan Lettings have over 30 years experience in the Cannock Chase property letting market and are dedicated to providing high quality and individual service. Harrigan Lettings provide a personal service to many Cannock Chase landlords from those with a single property through to established professional landlords with a large property portfolio. With flexible lettings packages at competitive rates Harrigan Lettings are the professionals to rely on. Lettings packages may include let only, rent collection or fully managed packages, whatever suits the landlord. If you have rented property and don't want the hassle of changing over simply call Harrigan Lettings and they will manage a smooth transition so you too can enjoy the premier service. Are you a tenant looking for a property in the Cannock Chase area to rent? Register your details with Harrigan Lettings to receive details of available suitable properties. 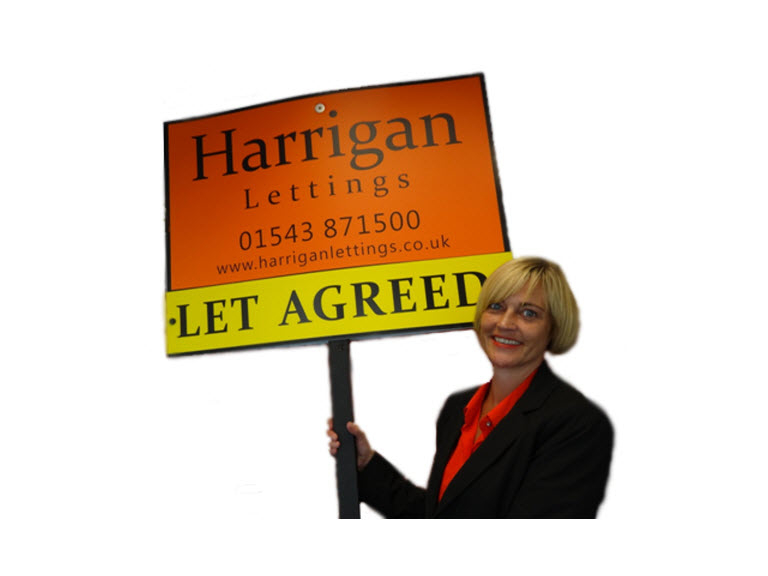 Letting a property from Harrigan Lettings tenants are assured of low administration and start up fees which are significantly lower than Cannock based chain letting agents, and dedicated individual service.